Puzzler celebrate Dame Vera Lynn’s centenary in charitable special edition book - D.C. Thomson & Co. Ltd.
Puzzler Media have produced the Official Souvenir Special to celebrate Dame Vera Lynn’s centenary this month with the blessing of her family. This beautiful, glossy one-off 100-page bookazine celebrates the life of one of the nation’s most iconic figures, ‘Forces’ Sweetheart’ Dame Vera Lynn, as she celebrates her 100th birthday. Filled with photographs taken throughout her life, this wonderful souvenir includes a background to her career, using exclusive, unseen images from family archives. This special edition also highlights her devoted support for children under 5 with cerebral palsy. In this special centenary year, Puzzler Media Ltd will be donating 50p from each copy sold of the beautiful, specially produced bookazine to the Dame Vera Lynn Children’s Charity. Vera Lynn was born in London’s East End on 20 March 1917 and captured the British public’s hearts. Most famed for her songs We’ll Meet Again and The White Cliffs of Dover, Vera Lynn became known as The Forces’ Sweetheart after a newspaper poll named her as British servicemen’s favourite musical performer. She was made a Dame in 1975. 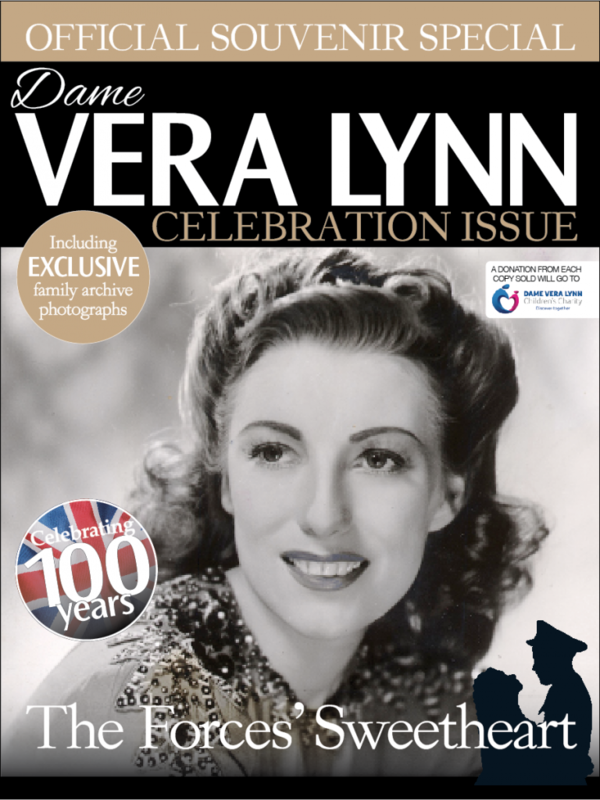 The Dame Vera Lynn Celebration Issue is on sale on sale now, priced £7.99. Available here. For further information please contact Rebecca Moncrieff on rmoncrieff@dcthomson.co.uk or 01382 575697.